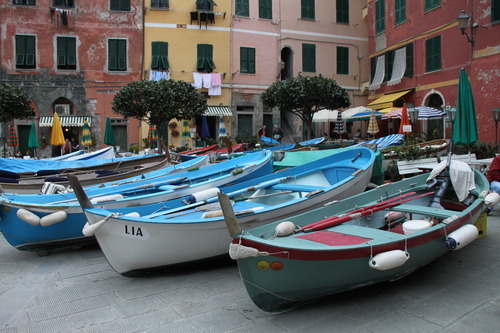 I personally think we stayed at the loveliest town, Vernazza at Franca Maria Rooms. 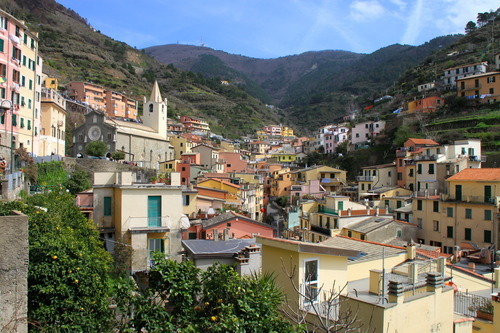 The town of Vernazza is small, It’s not too crowded, it has a castle on top of a hill, the beach front isn’t too far and the ambiance is just perfect and laid back compared to the busy Riomaggiore or to the touristy Monterosso. 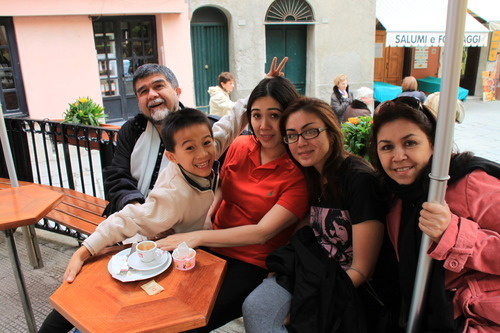 The photo above was the night we arrived and we do what our family does best — have coffee and gelato!!! 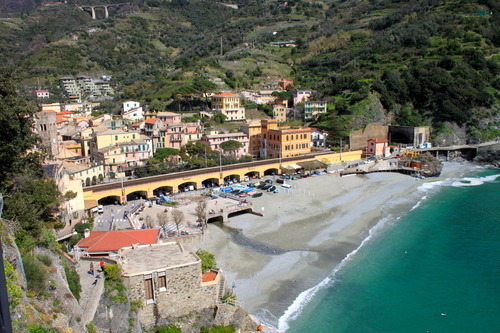 2nd stop was Manarola but the train we rode didn’t stop at Manarola, instead, it took us to Monterosso: this is the town that has its own beachfront where you can actually go swimming. 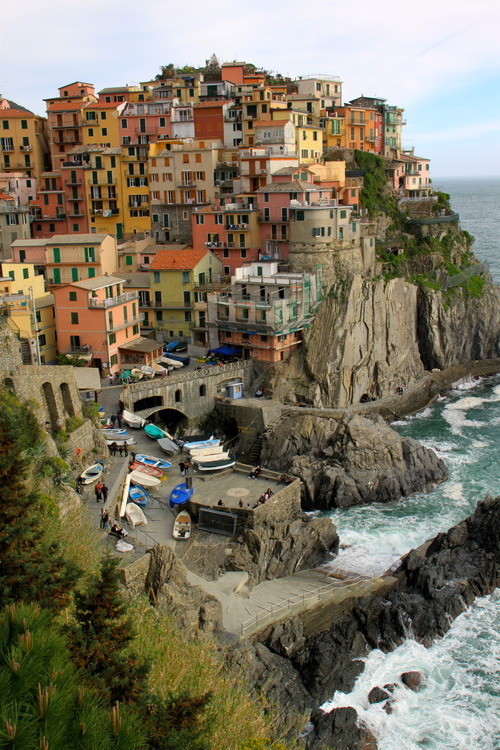 It gives you that feeling of being in a “resort” but mind you, if you’re looking for a great beach, Cinque Terre isn’t that place. 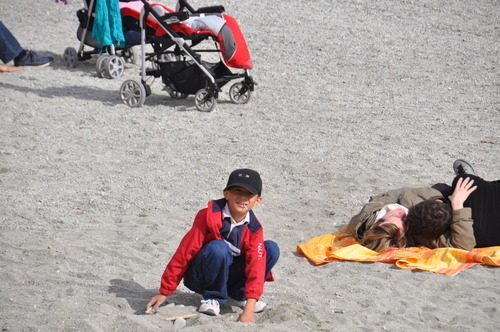 Here, we relaxed, had sandwiches and coffee by a cafe by the beach while my nephews enjoyed playing in the sand. 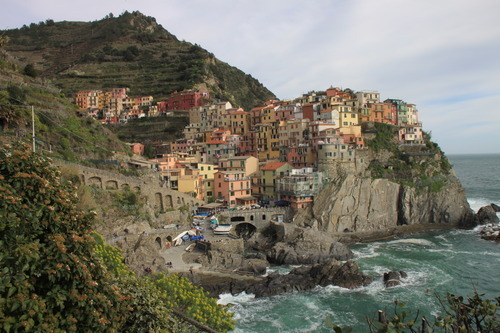 3rd stop was Manarola – this is the oldest town among the 5. 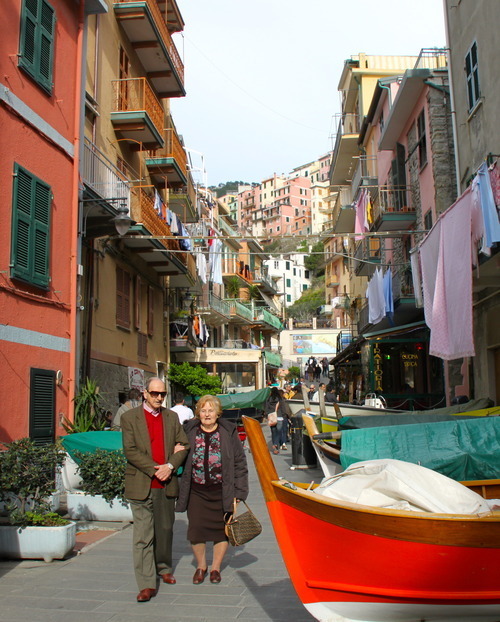 This old Italian couple is just really adorable!! 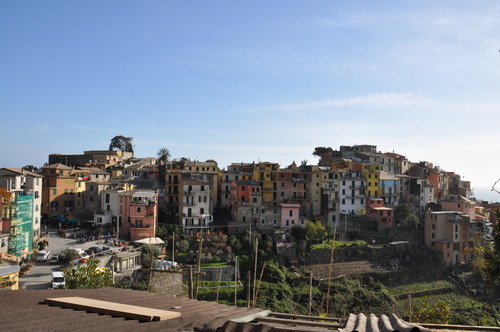 4th and last stop was Corniglia; this town is the only town that is on the very top of a hill. You need to ride a bus to reach the town center so my parents, who were exhausted from transferring from one place to another decided to skip this one and head home. We missed the bus and it didn’t seem like there was anything interesting going on anyway so we also went home with them. 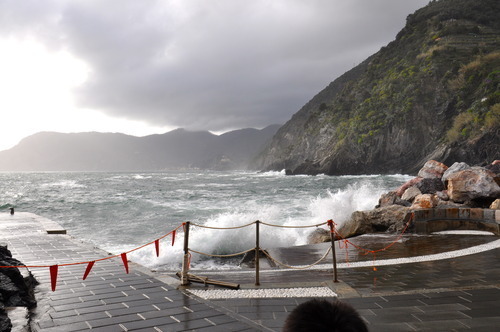 The next day we did the famous CINQUE TERRE WALK. 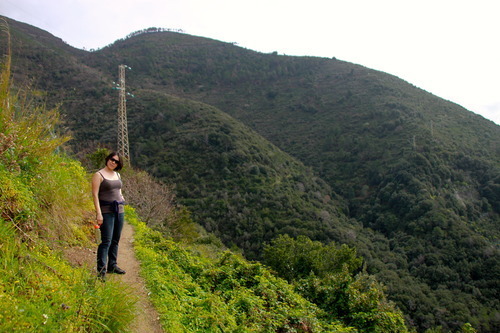 I’ll walk you through the hike that almost killed me! My entire body was sore for a week and I’m not even exaggerating. 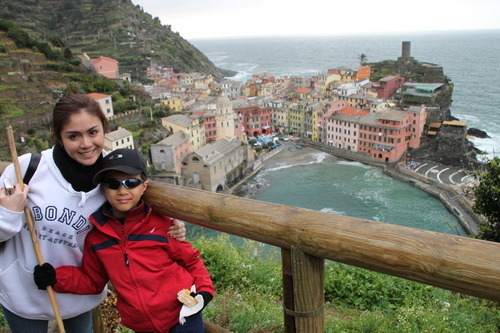 We started with the most challenging trail – Vernazza to Monterosso. This trail was hands down the hardest mainly because of the very steep and narrow tracks beside cliff drops that only fit one person. 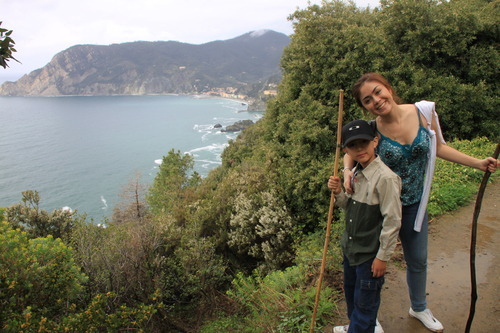 The trail was so difficult! 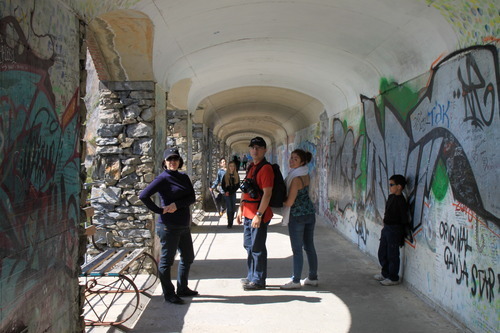 10 minutes to the walk, my sister and I already wanted to give up and go back down, good thing my brother was such a pusher – I was so unfit, it was ridiculous. 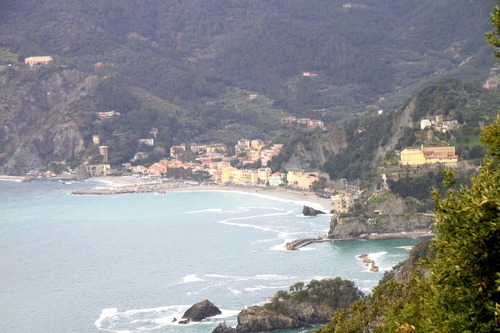 The walk would have had taken only an hr and a half but it took about 2 hours before we reached Monterosso because we stopped for every reason possible; to rest, to see the view or catch our breath, not mention I was bringing a huge bag full of food which my sister told me to leave. 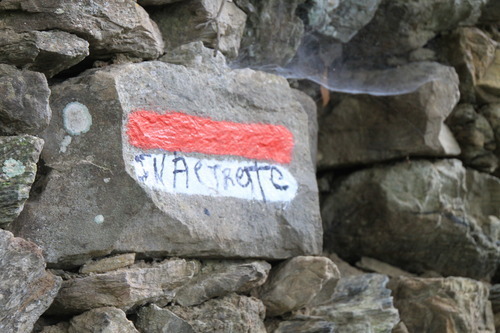 Since we didn’t have a map and no one guided us through this hike, we followed this red and white painted rocks. This is their marker so trekkers would know they are on the right path. 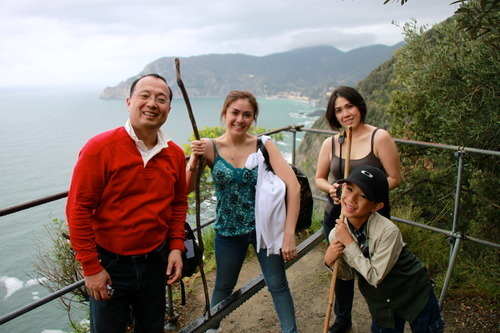 An hour into the hike, the entire crew had to stop for a photo with tiny, tiny Monterosso at our back. Do you see it? 1 down, 3 more to go! 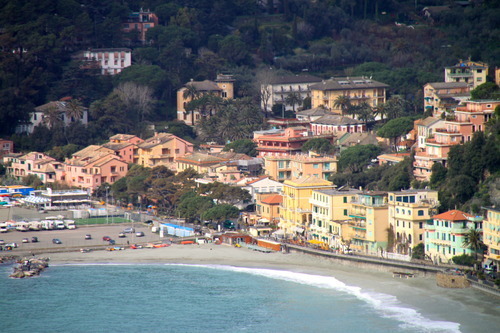 Monterosso = CHECK! 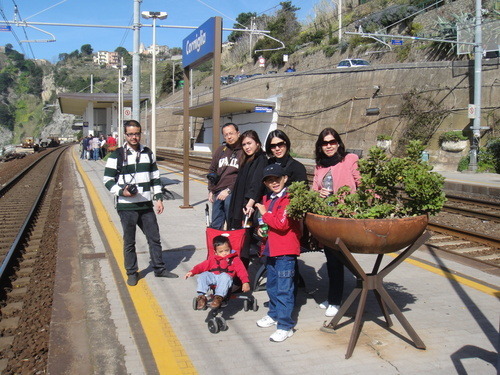 We took the train from Monterosso to Riomaggiore. 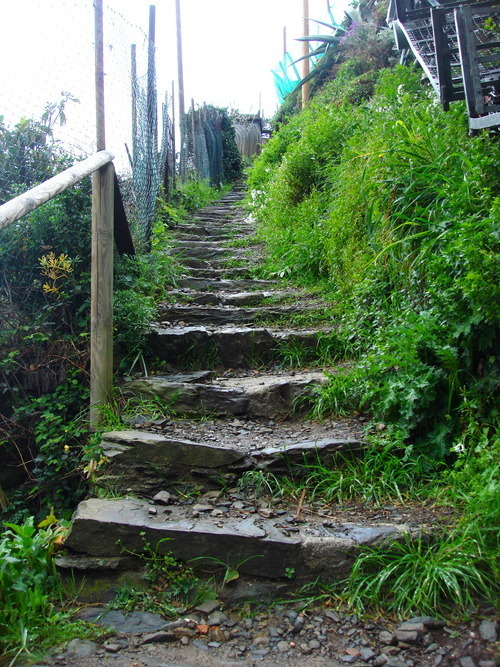 This trail is the easiest among all of the trails. After starting off with the hardest one, this was nothing! 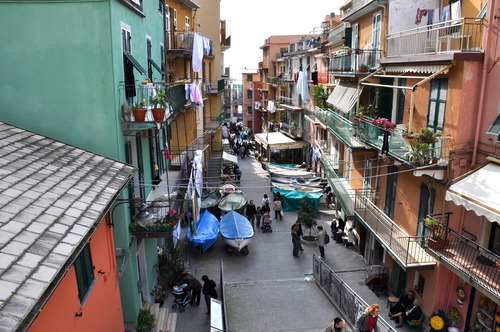 This trail is called the “Via dell’Amore,” an Italian Lover’s Lane. 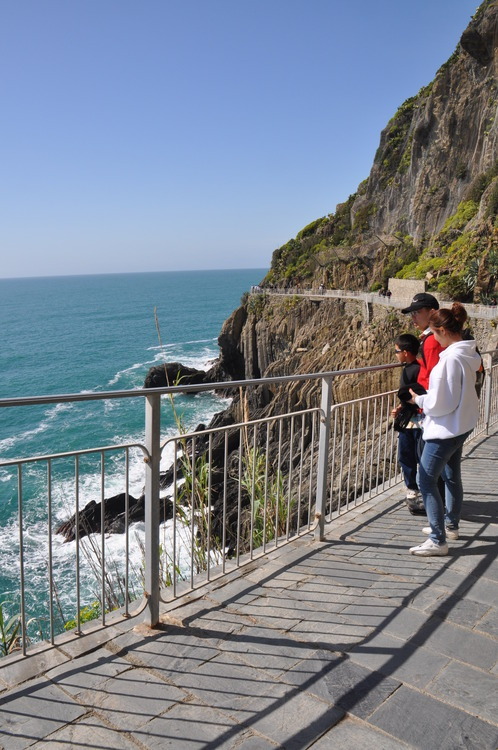 It’s flat and concreted; so people can easily go between these two towns and can say they did a portion of the Cinque Terre walk. 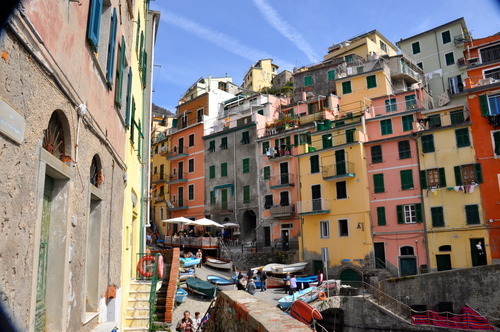 Don’t be surprised if you see colorful love notes scrawled all over the place and different graffiti saying “I love John” or “Josh and Michelle forever” in a heart done by people who did the walk with their lovers. I find it quite sweet, actually — no! wait, I find it VERY sweet. Sorry, I’m a hopeless romantic. 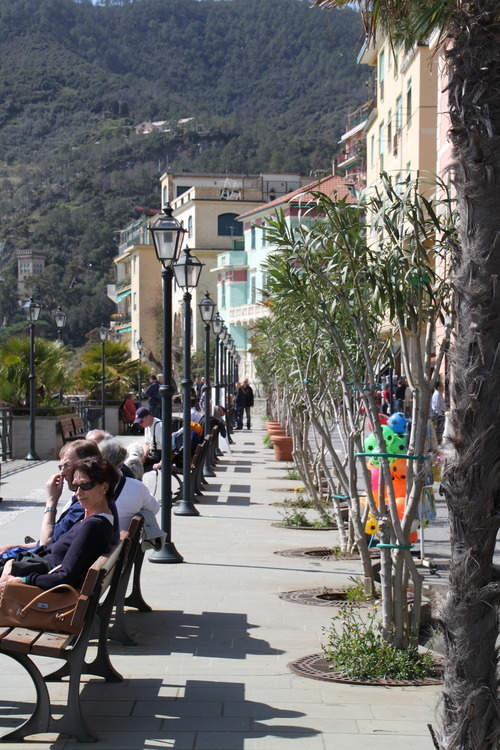 The walk to Corniglia is quite similar to the Via dell’Amore trail earlier since it’s generally flat and instead of walking on concrete, it’s now soil so it’s still easy going. 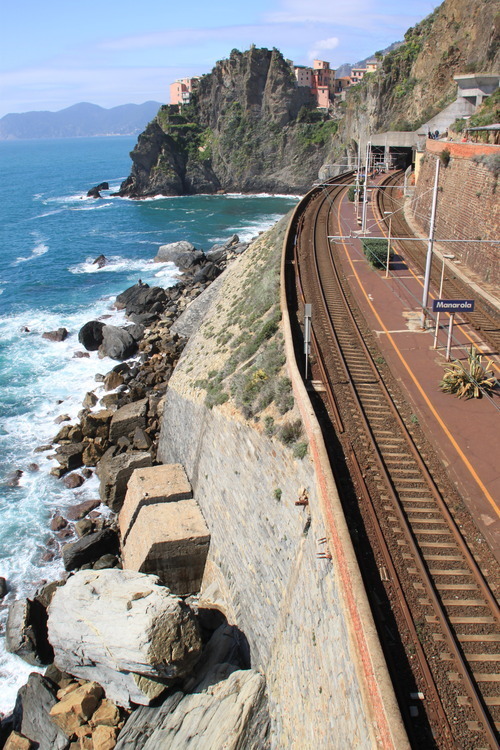 You’ll be walking alongside the train tracks, which are between the water and the trail. Although, I warn you! 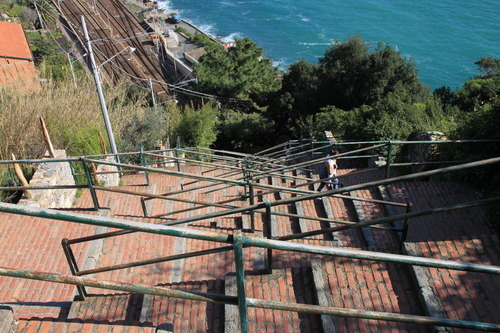 When you reach the foot of Corniglia, that’s when the going gets tough; there is a set of zigzag stairs that’s composed of 365 steps (I counted!) 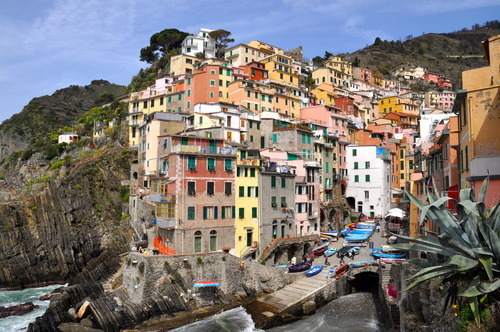 up to this 4th town. 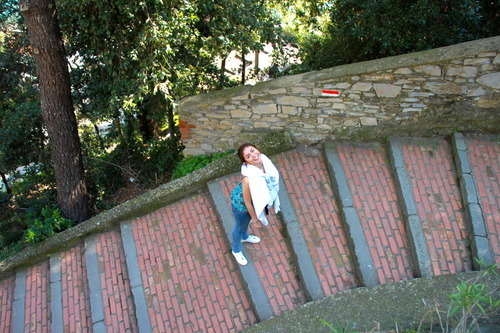 At this point I didn’t even know how my legs managed to go up those steps, all I wanted was to dive to my bed and sleep. One more trail to go, I can’t believe I survived or was surviving. 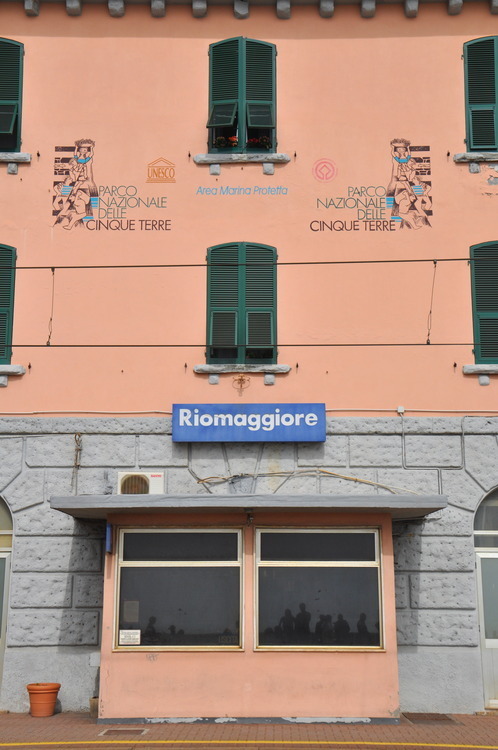 I mentioned earlier that we didn’t bother to see this town because it seemed like there was nothing interesting going on, I now eat my own words. It was truly nice indeed! 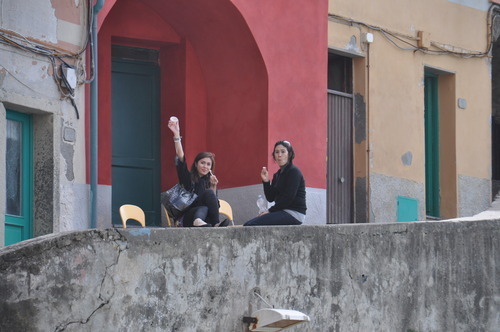 It was really attractive that my sister and I stayed for a bit to have gelato and I also enjoyed looking at the local kids play. 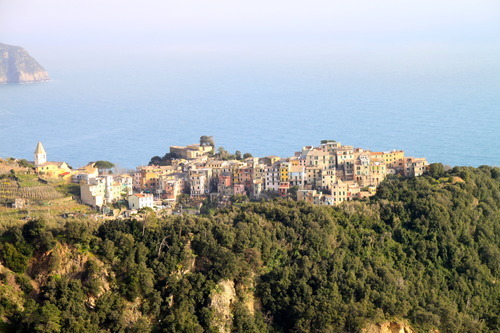 The killer steps up to Corniglia! 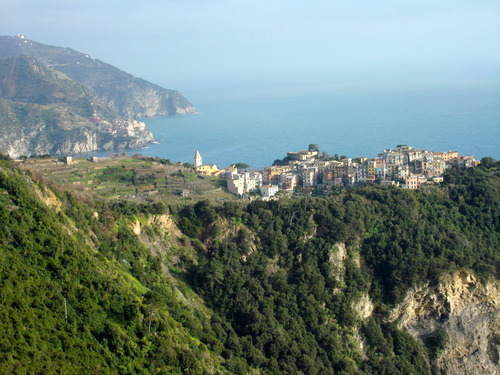 Knowing that Corniglia is on a hilltop, I was thinking this trail should be easy, as it will be heading downwards. 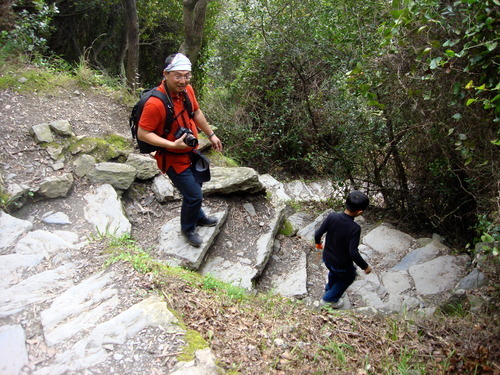 I was right that the trail generally leads you downhill but some areas are really steep, it could be dangerous. 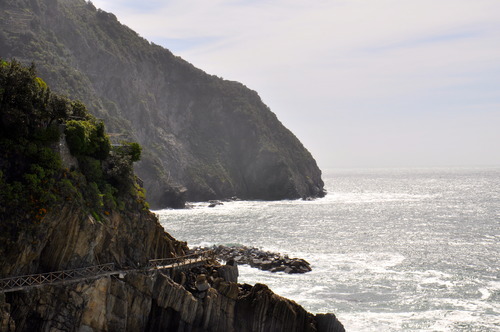 You pass by weird zigzagging shaped stones; really narrow pathways similar to the track heading to Monterosso and the hardest part is that there was nothing to hold onto but the stick I was carrying. 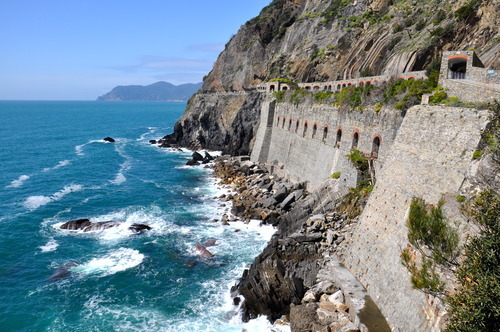 From here we got an amazing view of the three towns that we just came from and I remember thinking “I can conquer anything!” When we saw Vernazza, I wanted to cry thinking we made it but it still took another 30 minutes to get to the center of civilization. When we finished, my sister and I had to grab some cocktails by the beach to celebrate this triumph! 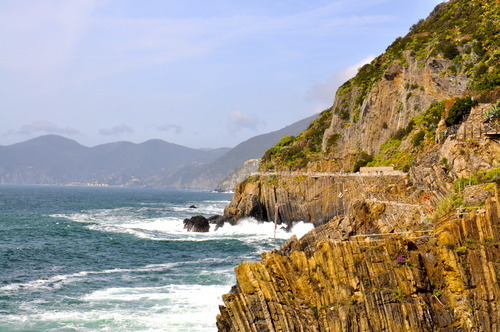 In a nutshell, this is how my day went, rested in Monterosso, had cake in Riomaggiore, had pizza in Manarola, had gelato in Corniglia and had cocktails in Vernazza! My entire body was numb for a week, I kid you not! 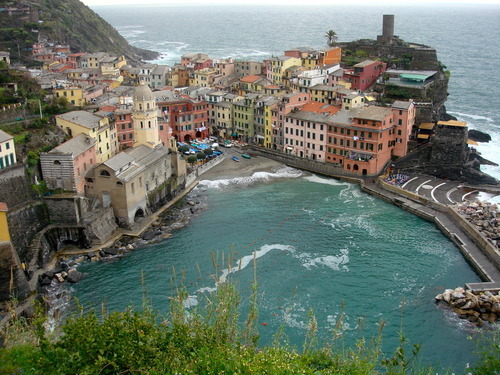 For someone like me who didn’t gym at all, I dominated the Cinque Terre Walk and I am most proud of that. 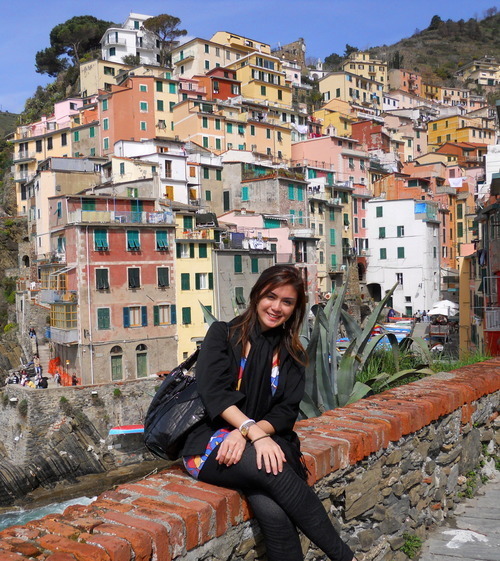 – Another one off my bucket list! 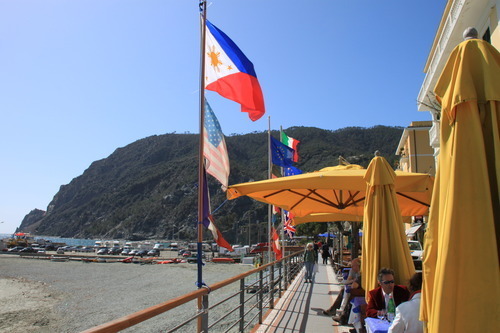 I’m so proud to see the Philippine flag whenever I go to a different country. 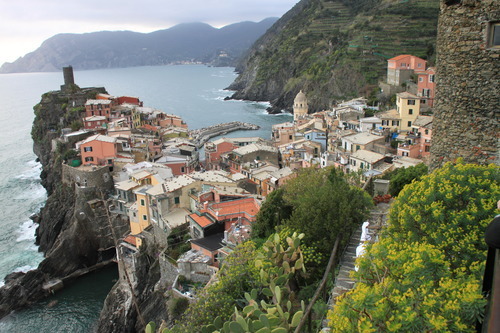 Lesty..you write well on your Travels..I do watch Rick Steve on his European travels…he is a travel writer,traveller and TV journalist and highly recommended these places(off-the-beaten-path) you’ve been with your loveones….keep it up…. 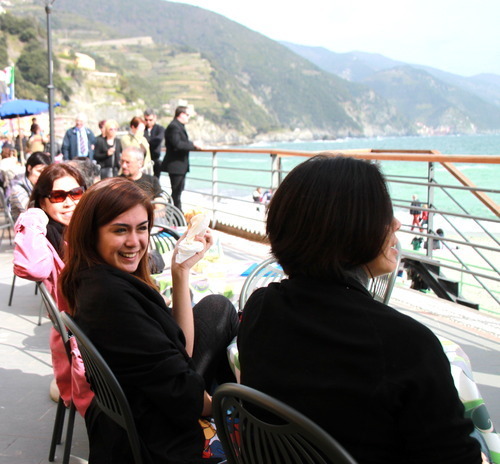 travelling and writing…cheers…cv.